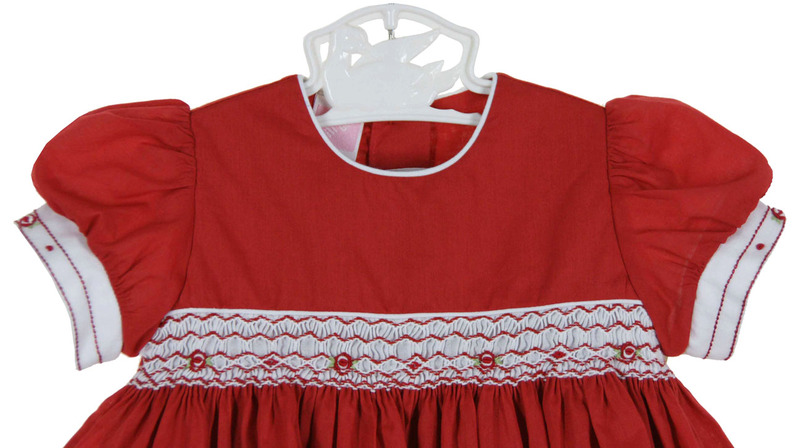 This beautiful little red cotton smocked dress is made by Will'beth, a leading designer of beautifully detailed children's clothing for more than 30 years. It features a hand smocked bodice delicately embroidered in a lovely red and white pattern. 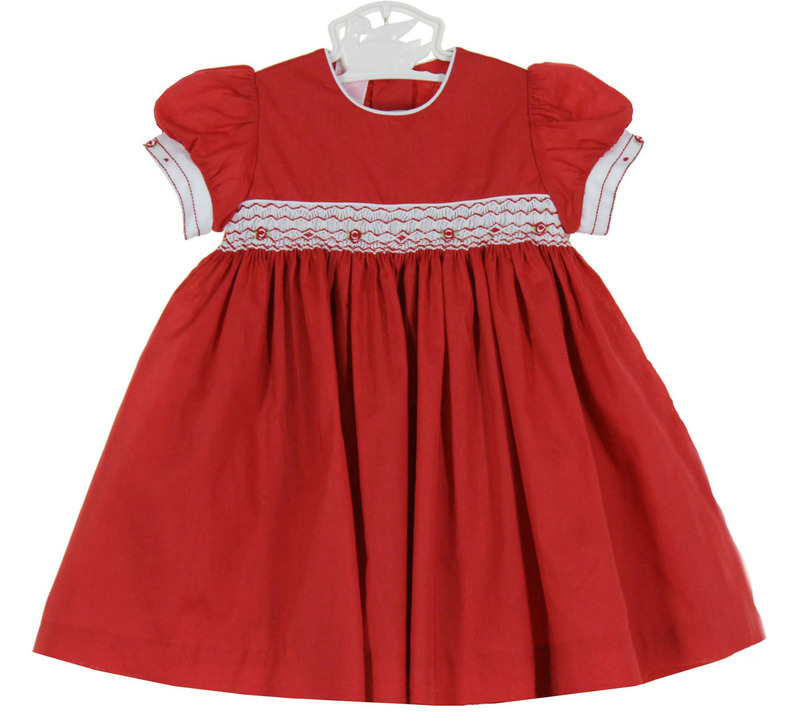 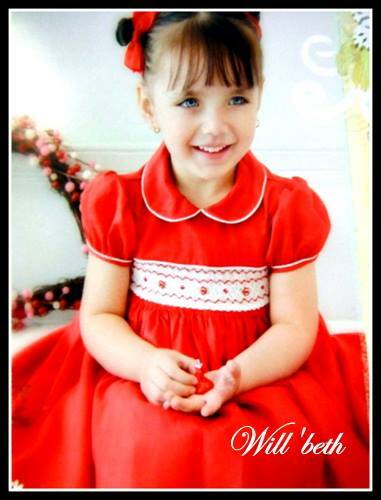 This sweet red dress has a simple round neckline and short puffed sleeves embroidered with red flowers on the cuffs. The dress has an attached red cotton slip for added fullness and closes in the back with two small buttons. 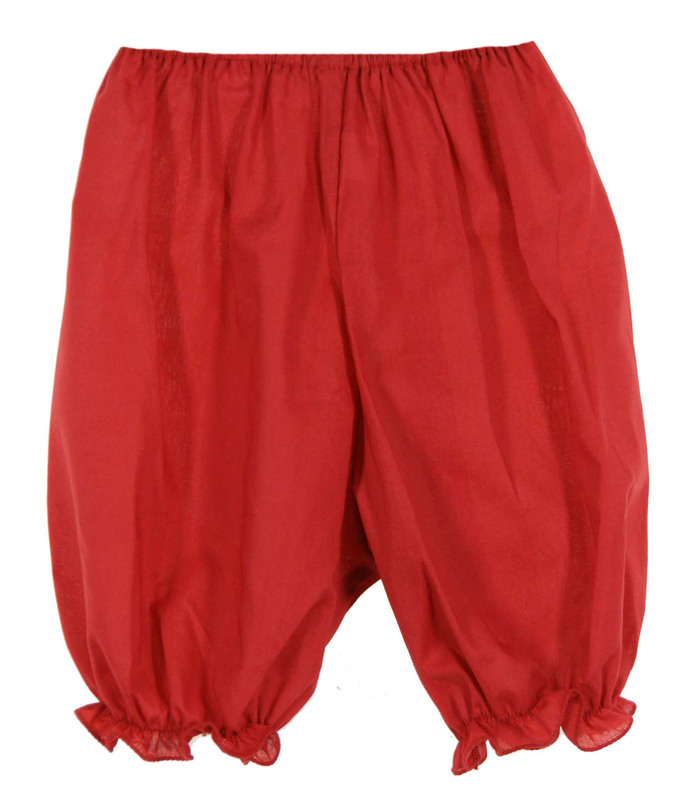 It even comes with matching red pantaloons! The perfect Christmas dress or Valentines dress for your baby girl!